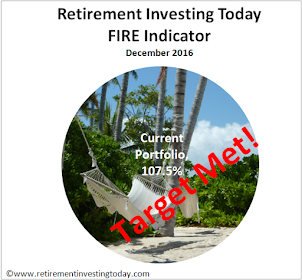 Retirement Investing Today: Am I Making a Mistake? Security of employment is not what it was once. Changes including globalisation, technology, automation and lean (lean is basically doing more with less through the elimination of waste), amongst others, have sent it well on its way. We see lack of security of employment manifest itself in many ways with one of the more recent ones making headlines in the mainstream media being zero hours contracts. The problem with this change is that without security of employment there is always the risk of starving to death (maybe an extreme example given the UK’s welfare state status, but certainly not in some countries and hopefully you get my drift). According to Maslow’s Hierarchy of Needs inability to correct for this deficiency need (or d-need) then prevents one from ever reaching Self-Actualisation which is essentially the realisation of your full potential. Personally, in my current career I’m also under no illusion of having any sort of security of employment. I know that my current security is linked to nothing more than my last performance review or (not and) nobody anywhere else in the world being able to offer the equivalent service for a lower cost. Part of this is within my control, but mistakes do happen, and part of this is outside my control. it really did make me take a step back and think. I didn’t reply to these 2 comments because when combined they have had me really thinking for days. I don’t yet have an answer but this is my current set of thoughts. Thought 1. Am I using a sledgehammer to crack a nut? My current career contains limited security of employment. In response I’ve lurched to (the extreme of?) early financial independence (and am 85.1% of the way there) when I actually just need to secure employment and not have the option of not doing it. Is there a less aggressive option? For example could I gain security of employment with a different career path, even one involving self employment and even one where I give up some earnings? Thought 2. I am fascinated and love personal finance. It’s one of the reasons I continue to devote precious free time hours to write and research for this blog. I love it so much that many months ago I even spent some time researching a career change to that of a Financial Planner. At that time I called a halt as while I felt I could both gain the qualification and do the job well research suggested the career was heavily sales focused which I wasn’t so comfortable with given the importance of the topic. In more recent times however I’ve started to hear the term Financial Coach within the personal finance blogosphere. It looks to be bigger in the US but is starting to see some momentum here in the UK. These people are not regulated by the Financial Conduct Authority (FCA) because they don’t advise on nor sell/arrange financial products and services. Instead they provide more generic advice aimed at improving knowledge/understanding of personal finance including life plans, assistance in removing poor money habits and assistance on how to use money effectively. From what I can see they’re not selling anything other than their time. That’s pretty transparent – if the client doesn’t see value then they just don’t use you again and they’re not ‘locked in’. It would give me a chance to put the many thousands of hours of research spent learning about all elements of personal finance to good use (not that my own financial freedom isn’t a good use). It also seems to be a more tailored and advanced version of this blog – something I love doing. Would anybody in the UK (or with links to the UK) be prepared to pay for such a service? Could I generate enough clients plus also not take so long to help that I was actually hindering the client’s personal finances, as it would have to be hourly rate based, while also generating ‘enough’ salary for myself? As always I’d value your thoughts? First of all, thanks for honestly sharing your dilema - I often think the most important element in resolving issues is to be self-aware and to be prepared to challenge the status quo. In my earlier career in law, I was finding I was leading a double life - one a 9-5 professional but in an environment which, whilst well paid and secure, was stiffling my creative entreprenurial side - outside of this, I was politically active and engaged in the push for change. It was not until I found the courage to take myself out of the work situation that I found the space and time to be more creative and to start up my own business which was not as well paid but was far more fulfilling emotionally. 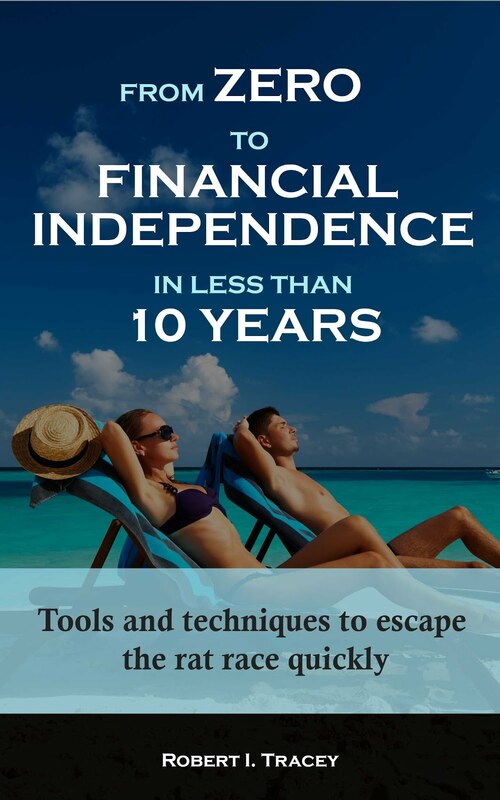 Financial independence is very important and you have done a great job to get this far. I suspect when you eventually leave the man and explore less stressful and more creative ways to move forward FI may become more background. Having worked as a financial adviser, I think you are probably right to avoid - whether finance coaching will suit you, I don't know. I suspect I would not be very good, I would probably feel too responsible for other people attaining their objectives! I'm probably rambling on a bit but the main point was that until you are removed from you current work situation and in a more relaxed, less stressful place, it may be difficult to envisage suitable alternatives. Good luck with whatever feels right for you (and partner). Would anybody pay for such a service? Well for starters, if you wrote a book entitled '10 Years to Financial Independence' with a step-by-step, year-by-year plan, then I'd definitely buy it. Not only because of your knowledge and demonstrable experience, but also because of your accessible writing style. It sounds like I'm in a similar career to yourself with the same lack of security, working ethic and salary incentives. I fully realise my years in this profession are limited (due to burning out or being replaced by fresh/cheaper minds graduating from university), so my plan is to invest as much as possible while I can now, to see me through later years in life. However, a close friend quit the corporate world many years ago to become self employed, working mostly from home 3-4 days a week. They don't earn a huge amount and have no funds/pension built up, but have plenty of time to do the things they enjoy, working the hours they want. Their life is less stressful and they see no reason why they cannot continue this way well into old age. Our career choices have led to many interesting discussions... A lot has to be said for getting the balance right. Regarding the financial coach concept, I'm sure it would work. I don't see it being much different to a fitness Personal Trainer or a more generic Life Coach. You may need to tread carefully with the FCA with a big disclaimer stating you are not giving advice, but providing the tools and ideas/concepts to help people help themselves. It's something I'd like to do for everyone I know, but discussing finances with friends can be a tricky subject. 2. are you tired out from working, or do you actually kind of enjoy it? 3. are you sacrificing any areas of your life that you wish you weren't? I think it's important to make sure that you're actually enjoying life, as if you're working yourself to the bone just to achieve some financial security, then I wouldn't call that enjoyable. You do need to dream, and have the mental and physical energy in order to do that. As to the financial coaching thing, why don't you contact Huw from http://financiallyfreebyforty.blogspot.co.uk/ as he has just done a little bit of this. I think you should retrain as a Tax Inspector. Many years ago I moved from being a young academic to working "in industry". After some months my boss asked me how I got through so much work. I told him that it was simple: I was used to working far longer hours than people in the firm. On reflection, that had been possible because I had been fascinated by what I was doing. It also explained why academic salaries were low: you don't really need to pay people much if they are essentialy pursuing their hobbies. I would certainly pay for this service. Financial advice I currently get is always tainted with suspicion in my mind - what are you trying to sell me? If I knew you were independent, didn't care where I put my money and were only trying to give me honest advice, that'd be worth something to me. I'm not sure how you would best be able to convince sceptical people that you are honest though - the whole field is tainted with crooks and sharks. Now is probably a very good time for you to look at your ultimate goals and how you want to get there. You love Personal Finance and you want to reach FI (and have proved yourself to be very good at applying what you know) so why not combine the two even if it does mean you slow things down a little? Given the changing pension and investing landscape which, as mentioned above, needs people to be able to DIY but also requires that understand what they are doing and where the the pitfalls are I think that next few years should see that new role of "Financial Coaching" becoming key. I like the comparison (also made above) to a Personal Trainer - it's true that much of the benefit of investing/saving comes from applying yourself to the task but people will need help to get the "exercises" right and avoid the dangers of getting things wrong. They will also be motivated by seeing the potential rewards in the form of someone who practises what he preaches. It is good to see that some things are changing already . I realise that this week's offering is a bit different to usual - but you have not felt the need to respond to any of the comments individually . So - you have already taken some pressure off yourself. Judging by the numbers of bloggers who submit comments - this is a fairly small number- although it is a bit hard to know how many anonymouses ( sic ) there are out there ! Clearly a lot of others read the blog but have not ever submitted comments - I don't know if you have any idea of the numbers of readers that you have on a regular basis ( you clearly know the numbers that you send the blog out to - so that is clearly the MAXIMUM number of potentially regular readers. As far as getting financial advice is concerned - the people who really need financial advice are the ones who would not read your blog ! Free sources of financial advice are very freely available and it is easy to get up to date info sent regularly to your inbox. I think you would face a very steep uphill if you set out on your path a being a Financial Consultant - which I am sure you could do very thoroughly - but it would take a long time for your reputation to spread sufficiently far and wide for you to have a large enough clientele base. I just have this nagging doubt in my mind - about your FI. When you get there - I think you will always want to have that bit more security and leeway- which will keep you working to secure this. I also think it strange that you are basing your plan on moving abroad - that seems to me to be a very much bigger risk to you and your family than achieving FI -and I worry that you maybe cannot see the wood for the trees - or the trees for the wood - or both ! Anyway - the best of luck and I hope you can continue your blog for a bit longer . "I worry that you maybe cannot see the wood for the trees - or the trees for the wood - or both !" He'll see little of either on Malta. You've been spending a lot of time on this and I think that you've done it because you like it and it motivates you. I'm also looking forward to stop working for the man in a few years (I'm 38, my max is 45), I already got the amount of money I need to do it, but I'm quite conservative and I'm waiting to double it before making the big move. My main reasons for doing it, is because I don't like the work environments I usually work for, they are very lucrative but unhealthy (big banks), hate meetings, politics, bureaucracy, big egos... and I'm always thinking in entrepreneurship, I have lots of ideas I don't have time to develop, I'm an IT guy. In my particular case I know that if I want to continue working and making big bucks I need to move into management that I hate as I like the technical stuff, so I need to make the move to live from my investments (in an amazing place by the beach, spending loads of time with my family) and try something on my own or continue with a professional career that won't make me happy, live is too short! Thanks for posting such a thought-provoking post. One thing springs to mind - you often add at the end of your posts "As always DYOR." This goes for you too! As someone mentioned, those who read your blog are likely to be interested in finances so will be positive towards financial coaching and the like. However, those who SHOULD benefit from such coaching are unlikely to be reading. Those people should be your intended market, ie coaching those who don't have a clue. Would they pay for such services? I don't know. How would you tap into such a market? Time to DYOR! Also, I do hope that you're not having doubts about your own plan, how you go about doing things just because of a few comments on your blog. People who read and comment on your blog are at different stages of their lives, be that working or personal, they have different backgrounds. they're in different situations, I mean who knows who or what most of the 'anonymouses' are? If you and your family are happy with your plan and how it's working (and the winning posts are in sight! ), I say keep to the plan and go for it. JW I think already mentioned writing a book. Huw of FFB40 has experience in writing and getting ebooks published. That could be something that you could perhaps consider, without too much disruption - maybe cut down on the 14 hours though to make a little time! You admittedly have very long office hours but then again you are also very close to your goal. If your current schedule is not crushing you, I guess I would soldier on. A year passes very quickly and then you are almost there. For myself, self actualization is something that I definitely put off until after FI. Sure, I entertain ideas of self employment but am too unsure (scared?) of the earning potential to try to go this way before I know that passive income will put bread on the table. In any case, good luck and let us know what you choose! Thanks for all the responses so far and after last week thanks for each giving yourself a name (reminder you can comment as Name/URL and just not enter a URL instead of being Anonymous). There is definitely plenty of wisdom in there. I've deliberately held off from commenting until now so that I didn't tamper in any way with your thoughts. I’ll now wade in but don’t let this stop your free thoughts flowing. I also need to respond in pieces due to this clunky commenting system so please bear with me. Firstly, to those who have sent me a personal email saying you would be interested in being coached thank-you for your trust. I’ll send you a private email in the next few hours. If anybody else out there is very interested in being coached then please do drop me an email at contact.retirementinvesting [at] gmail.com. Just replace the [at] with @. Now some further thoughts based on your inputs plus my further thinking. @JW. Liking the book idea. It’s something I have considered doing once I’m FI. I was thinking that I’d wait (that’s now being challenged) until I'm FI for 2 reasons. I’d have the time to do a good job of it and if I wrote it before I’d attained FI then I’d be a hypocrite talking about FI in 10 years. @Anon1. I’m with you in that I find the principles pretty simple. The problem is that it’s taken me thousands of hours to learn what I know today and I also don’t know what I don’t know. The question I'm asking myself is can I help somebody move faster so they don’t need to spend those thousands of hours and can I highlight things people just don’t know. - The not giving advice is a critical point. How to make sure that you stay away from advice but also ensuring that Clients are 100% aware that they are responsible for their actions is very important. The first part is just a regulatory and not being sued thing but the second part is what IMHO will make all the difference to people. I've found in life that when you are responsible you make very different decisions because simply you have no-one else to blame. - On the topic of cost. I'm conscious that if something has value and you charge £0 for it then demand will be infinite. I can’t support infinite and I'm also conscious I would need to earn a living from it (but wouldn't need a big salary as I already have plenty of passive income given the state of my FI journey) so would need to charge. I'm also conscious that if I'm to really help people then I can’t be hindering them with costs. - On top of cost I'm also conscious that others out there know more than I do on certain topics but not on others and that the best way to learn is to learn but then teach back that learning. It’s one of the reasons I keep at this blog. Is there an opportunity in there somewhere to make the financial coaching more social while also being clearly led by myself to ensure quality of content? It might make the coaching more rich in both content and value while also keeping the costs down for everyone. - What would be the first 3 things you would like to learn about? - I'm conscious that we are all quite geographically diverse. How would you like your coaching to occur? Email, Skype, face to face etc. - How much would you be prepared to pay for your coaching per week/month/year? This will help me think through whether it has to be 1 on 1 or whether more creative solutions such as workshops are more appropriate. It will also help me assess whether it is a viable proposition. @dearieme. I quite often miss your humour but I always find it quite amusing once I understand. Care to explain the Tax Inspector comment? It requires you be numerate, be interested in money, and enjoy the role of poacher turned gamekeeper. Round up all those 'orrible tax evaders, and so release more money for gentle, herbivore tax avoiders like us lot. Thanks for that dearieme. I've never been described as a 'herbivore tax avoider'. It has a nice ring to it. @stringvest and weenie. We are still quite a small community. The week to week readership does vary quite widely depending on the topic of the week. I don’t really track it as I tend to write about what I'm learning not what brings in readers. To give some idea though. In the first week a post is live it will be read typically between 1,000 and 1,500 times. General traffic across the site is then about 4,000 page views a week but I'm sure many of those are from search engines where the person doesn't stay to read the post. You make a good point about judging how many people are ‘truly’ interested. To prove this out I think I would just have to charge from day 1 even during Beta testing but maybe at a reduced rate to acknowledge my inefficiency early on. As you both highlight those that probably need the most help are not the readers of PF blogs. Personal recommendations might help if I was good but Clients paying might also help as I would then have some funds to maybe advertise a little through pay per click or even build a paid for SEO optimised website. Stringvest to your point about a long time for reputation to build I need to ask myself if I could make it my weekend job until at least it showed some viability. @Dalamar. Thanks for sharing a little of your story. It looks like an age race between us as to who will stop working for The Man first. First of all, I've got scared about the impact of a couple of sentences of my comments. Keep in mind, I often write something on weekend with a pint of lager nearby :) Although, it is interesting that in professional life, significant part of my pay is what is referred to as leadership. It is also sad to read all comments where people say that they cannot actualize themselves in their work and looking forward to leaving work. That is one of the key goals of the employer to create an environment where talent can thrive. I do like my work and I attribute many positive things to some senior leaders I met. And also as a leader myself strive to create such environments for others. About your questions. At this moment, many in UK are anxious about their retirements. And not only those smart people , but also government who does not want to end with support of logs of poor sick and old people. That is why all those pension gimmicks every year. But many understand it and looking for ways to ensure proper retirement. "A central proposition of Existentialism is that existence precedes essence, which means that the most important consideration for individuals is that they are individuals—independently acting and responsible, conscious beings ("existence")—rather than what labels, roles, stereotypes, definitions, or other preconceived categories the individuals fit ("essence"). The actual life of the individuals is what constitutes what could be called their "true essence" instead of there being an arbitrarily attributed essence others use to define them. Thus, human beings, through their own consciousness, create their own values and determine a meaning to their life." Please don't be 'scared' about the impact of your comments. One of the reasons I started this blog was for us to all learn from each others experiences which would the encourage us to go and DYOR. This is exactly what your comments do for me. Rest assured before I go doing anything I'll be doing plenty of research plus will also take 100% responsibility for my own actions. Your book from a personal point of view sounds like an excellent idea (which I also mentioned above). I can't help but think it would be more powerful coming from somebody who has been there, done that, got the t-shirt though. I could easily see myself early retired, decompress for 1 month and then write a quality book. If it sold 1 copy but then that person went on to make some successful life changes I'd be ecstatic. Not sure I need the lectures and events for a fulfilling life though. ...and I certainly don't want to be Suze Orman. On the few occasions I've seen her she comes across as a hard sell saleswoman rather than a personal finance expert. Full disclosure though I haven't read any of her books nor seen that much of her. For a STEM graduate you carry plenty of philosophy with you. Many thanks for sharing. I think a 'Finance Coach' is a great idea, independent advice without certain products being sold. If you did this after achieving FI you'd have an amazing base to work from, having 'been there, done that'. People can't argue with those facts and surely much more valuable that studying to become an IFA. (Which incidentally I would also be interested in, not from a changing career perspective but purely out of interest). You've hit upon an important point with your comment around "independent advice without certain products being sold". I believe this level would still be considered financial advice and hence regulated by the FCA. The key is how to make targeted general financial information that is useful while not being advice. Your "I think people will want a framework or a 'general model' to follow" but then with some bespoke tailoring to focus on that persons problems is I think where it needs to be at to both work and have real value for the client. @RIT, I listen to the Radical Personal Finance podcast by Joshua Skeats. Great podcasts and all are archived. He recently monetized his podcasts by just asking for $ contributions form listeners. Not sure how much he is making but because people find them so useful, many pay a contribution voluntarily. Reflecting over the past 5 years, I have learnt so much on personal finance by extensive reading, typically 4-5 hours per day. I think sometimes we in the personal finance space forget the hard work, effort and sacrifices to arrive at where we are now. Most members of the public cannot be bothered to put in the hard work to learn. Your familiar with the 10,000 hour concept. Finding a way to monetize the knowledge to help people is the next challenge. Yes I'm familiar with the 10,000 hour concept although I understand that we need to be careful with the term as that is the period to become an 'expert' and in personal finance you can make a lot of progress with much less. Your example demonstrates it nicely 4-5 hours per day, 7 days per week, 52 weeks per year, 5 years -> 8,190 hours. You must be pretty close to being an expert? I've been doing something similar since 2007 so I'm now over 10,000 hours and also an 'expert' however I'm aware that a couple of years in I was also reasonably efficient, maybe even competent. I'm still making mistakes (that probably won't ever stop) but they seem to get smaller and smaller every year. The problem I think I have is that I'm not so comfortable (yet) with monetising my knowledge in the personal finance space. I'm starting to think this is because I don't want to ever be looking at myself in the mirror knowing that I'd hurt somebody's financial standing or even be perceived as hurting somebody's financial standing. Here I'm not talking about genuine mistakes or just not knowing something to coach on. I can live with that providing I wasn't negligent. I'm more thinking did I really help that person in exchange for money. So often in this space the answer is a categorical no IMHO. A simple extreme example is the fund manager charging 1.5% per annum but who is really running a closet tracker which could be had for 0.1%. There I could help somebody pretty quickly even for a payment of £100's but what about the situation where somebody paid me £20 yet I was only able to generate value of saying £10. Am I hurting them financially in this instance? I really do think my knowledge has some value and could be of genuine help. How many others out there have amassed 85% of the wealth they need for FI in 7.5 years... I'd guess not many. The skills I've gained to do that are not just for rapid FI either. Again a trivial example could be how do I save a 20% home deposit in as short a space of time as possible or just how do I set up an balanced investment portfolio for the long term. Like (I suspect many) I've stumbled upon your blog via Monevator, and discovered a whole new PF world, not to mention the rebellion against corporatism. In some ways I've been very lucky and always enjoyed my work but life throws all sorts of curveballs and suddenly having to find out all this info has been a steep learning curve for me. As a course to embark on voluntarily, it's a whole different game and I suspect that's where you are now, maybe you should focus on the next step as purely running to (your goal, and what might happen once it's attained) and put out of your head the whole escape angle, especially given that you have a partner/family? Are you at a stage where you've discussed all the possible knock-on effects with all involved? Abroad is indeed a big step, however careful your research; I'd certainly suggest renting wherever for at least a year before abandoning any permanent toehold in the UK, but of course everything has tax implications too. I've had a few run-ins with IFAs in earlier, more innocent days and can certainly confirm that there is a need for financial coaching among the more mature - at least there are now (to be?) finance lessons in schools. The trouble with the pros is that they think all lives follow predetermined patterns, and advise accordingly - if as a coach you could inculcate the skills to make people work out for themselves the best course for them as individuals at a particular stage in their lives, that would be of far more use with practical info provided only as a toolkit. It's clear that most of your very thoughtful regular posters (@Cerridwen, @Stringvest, @weenie among others) are already a long way along this path of their own volition but enjoy checking in to compare ideas from others so that the community both offers and finds mutual support. I'm not so sure about the leadership aspect, it's the avoidance of the wasted energy for all of us to having to reinvent the wheel which you appear to find fulfilling. How you can monetise that is more of a problem, as traditional print media have been finding now for some years, as 'everyone' expects 'everything' to be free on the internet, but the strict avoidance of any appearance of offering advice is almost more of one. The workshops idea could be a good starting point, perhaps by Skype - spread the load/responsibility? Decompressing first sounds a good idea, and could be just what you need after working such hours for so long in a work situation that you don't enjoy. Don't burn out! Thanks for your insightful and thoughtful comment. You might be right about just running through to the FI goal rather than changing path now but I think it's worth also taking stock occasionally (PDCA and all that). For example I know when I started on my FI journey that I had reasons for starting but now that I'm where I am did I really start down the road for the reasons I thought I did or was something subliminal going on. 18 months to FI doesn't sound long but when the average age of death in this country is 81.5 years it could be 2% of my life. In these situations I'm ever mindful of the Steve Jobs quote - live each day as if it was your last. Regarding the abroad piece. Yes as a family unit we've been through it including known pro's and con's. Haven't been through the unknown one's for obvious reasons :-) The unknown ones are why we are planning on doing exactly as you say - we currently intend to have a number 1 favourite where we'll rent for 6 months. If it doesn't work then we'd try number 2. If we get to number 3 and fail we'd probably come back to the UK. However at least we'd not be exploring the 'if only' in years to come but instead would know England is home. No matter where people are in their journey I'm wondering if coaching could still help. Sure there will be people with more experience than myself but there will also be a lot also on the journey but a bit behind time and knowledge wise. A personal example from myself. I started in 2007 but even as late 2008 I purchased an ETC which was susceptible to contango and backwardation. I didn't even know those terms when I bought it. I was just looking to gain broad commodities exposure. I know that mistake cost me more than £800. A half an hour with a coach with more experience than me, where I showed what I was going to buy, would have saved me a fortune. C'mon RIT - you are nearly at the finish line! 18 more months and then you have your freedom. But remember you choose your work life balance - you are in control. No one clocks you in and out. Yes, not being around at home in the week might lead to a bigger bonus, but will people really notice if you got the balance a bit better. The worst that can happen by changing your work pattern is that you get made redundant - you get paid off, probably reducing your time to financial freedom anyway. Or the final goal may take slightly longer - to your mid forties - but so what?! Job security doesn't exist anywhere but have confidence in your transferable skills and do not feel so vulnerable. I myself am in my early forties completely obsessed with getting to the finish line. I could change tack, reduce stress and ignore financial incentives that I get for staying where I am. But part of my stress is that my priority is getting home at a decent time, spending time with my family during the week, and ensuring I get enough time to exercise and relax. And do you know what - if you work 9 hours a day or 12 hours a day it doesn't seem to make much difference to pay and rations. Your journey is an inspiration, but I felt gutted for you when you described your working week. Even if you left for home early one night a week, I am sure it would make a difference. And if it became a problem at work, so what - a slightly smaller bonus and a few more months to your target. Given where you are at, take control and have the confidence to dictate your work life balance - it doesn't have to be so extreme. Or perhaps the goal of financial independence is a soft target (and not the be all and end all) - perhaps you still have career aspirations that are far more important than you have shared up to now!! I need to be a bit clearer regarding work and work hours. Sure I acknowledge that it's not 37.5 hours per week and that I work hard but for me it's certainly not 'awful' or 'brutal'. I think this is for 2 reasons. Firstly, hard work (the 99% perspiration) has been around me my whole life. My father worked very hard to put food on the table and that just carried through to myself. Even while at University I was working 2 jobs at one point so that I didn't have to take out a student loan. Secondly, there are still some parts of my job that still give me a real buzz and which remind me of why I went into the profession in the first place. It's those days that make it worthwhile. I can definitely confirm that even with this work life my health and well being is the best it's ever been. FI has certainly not been a soft target. I wouldn't say it's been difficult but it has taken planning, education, change, commitment and importantly staying the course. I don't think saving 55 to 60% of your earnings is ever a soft target. It has however definitely all been for the better though. We sound about the same age. Do you have a target 'finish line date'? Not normally so sanctimonious - perhaps its because I struggle to even contemplate how you put in as much effort as you do. And that's one reason why I'm much further away - 10 years for me according to my prudent spreadsheet.Though, the more progress I make, the fear about my job and how my bosses perceive me reduces. If I was at 18 months, I would be pacing myself. I have a learnt a lot from your posts and your investment strategy. And since opening up about your life last week, you are inspiring a change in lifestyle habits too! 'And since opening up about your life last week, you are inspiring a change in lifestyle habits too!' How so? Last week's post has been interesting. I really didn't think my personal life was of interest thus the statement - '...while achieving Financial Independence by 43 is pretty exciting stuff knowing that I eat Weetabix ... for breakfast probably isn't.' Then it gets 50 Comments to date and forces me to rethink what I'm up to. I agree with stringvest's last observation, as I have mentioned in a previous post comment. Maybe you will find it really hard to let go of the security of making money, not least because you are comfortable with making a relatively high rate of income and see it as a low risk position. I think the considerations you talk about in this post show this. I can't believe that you feel you have no security of employment; that makes no sense as you are clearly pleasing your employer and making a lot of money. Maybe you don't feel security with your current employer but I would be very surprised that you do not feel that you could switch to another if you really had to given your obvious fantastic performance (significant pay rises and increasing bonuses year after year). So long as you are working, you know it is reasonably likely that you have the option to work for money should you need it. You also know that when you stop working, with time, you will have less and less confidence that you have the option of getting a highly paid job again, which means you might see your life becoming riskier and riskier; and high risk is something you do not like. Maybe that is why you are considering moving into a more leisurely career now and not a complete stop. You haven't really had to consider it before because other concerns have had priority. But now, you are getting close to the FI crunch, so I am not surprised you are reconsidering the options. It makes sense to take an overview now and again. I hope I have the courage to let go of the security of making money. If I stay in my current employment post FI I hope it’s because FI has released an insecurity not because of the money. I do think that money security is a reason why many do ‘one more year’. For now I think you’re right that if I lost my current job I could find another similar (probably paying less initially) for now. The problem is then longer term. I have 25 years until State Pension age and believe that will be increased. The world is going to be very different by then and I believe that my career type won’t be in this country by then. I’ll have 2 choices – retrain but is anybody going to want a 50 year has-been when they can have a 25 year old with the same skills or migrate to where my career now is. The problem is those places are not very nice. I’d prefer another choice – the option of Early Retirement. Like me you’re also clearly working hard for what sounds like similar reasons - ‘making hay while the Sun shines’. While we’re different people maybe we’re not so different. Some times it's just better to stay in harness if your health isn't suffering, and work toward your FI goal. My son-in-law , hard working guy for a management consultant firm, saw a niche market service he could provide as an independent contractor. He spent a lot of time and money developing his product but at the end of the day demand was not there in spite of a lot of marketing effort. He's back working for someone else, happier and financially better off. In Canada at least the fee only financial planner is very rare and most are highly skilled professionals. The folks who really need advice probably would not pay the $3000 or so needed for a decent review of their situation. Very good point Ray. For now I'm staying in the harness and I won't detach before I know any alternative works. It might mean more work hours for now but I'm not going to stop my day job on a whim as that has the ability to carry me over the FI line. Given my conservative nature by the time I've proven out other opportunities it's likely I'll be FI anyway. "...I am fascinated and love personal finance. It’s one of the reasons I continue to devote precious free time hours to write and research for this blog." Love it! It's also the main reason I have devoted time towards my own blog about finance and money. And you're right, security of employment is not what it once was. As long as we manage to create our own income stream without the traditional employer/employee relationship, then we've created our own security of employment. Cheers. You know, Maslow doesn't stand at the top of the pyramid handing out gold stars to those who reach the top. 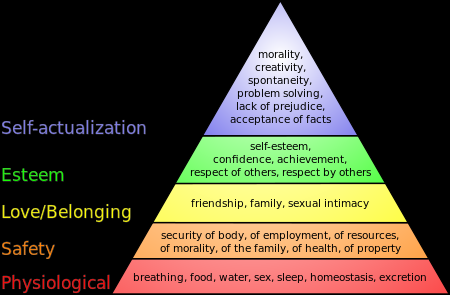 All of the self actualization descriptors are dimensionless. You are right up there at the top of the pyramid so stop giving yourself such a hard time. It seems to me that you are fretting about what to do when you no longer work for the man - after all your life is filled with working and your hobbies are not spending money, saving and investing and writing blogs -all perfectly fine things to do. Not working for the man is going to create a big hole to be filled and the actuary's best friend is someone who stops work and has nothing to do. "You are right up there at the top of the pyramid so stop giving yourself such a hard time." You might be right. In life so far I'm always pretty hard on myself. For example even when I was top of the class I was still beating myself up about the questions I answered wrong. Compared to my peer group I'm in a very different place. I suspect an outsider looking in making a comparison could make multiple conclusions from one of envy to one of what a weird person and everything in between. I guess that being hard on myself has put me where I am today. I can't see that changing even in Early Retirement. One thing I do know is that I'm not the type of person to stand still for long periods of time so that actuary should be worried. Given the above traits it's going to be interesting to see how this all plays out. I honestly don't know what it's going to look like but it is certainly going to be an adventure. Long time reader, but first time poster! Despite the cynical comments on this Telegraph article, I think there is a huge amount of demand out there for honest, impartial financial advice. Following the change in the way IFAs are regulated (RDR in 2013, which stopped trail commissions and essentially required payment by the hour - as you say aligning interests with the client), I do think there will be a gradual shift in the way financial advisors are perceived by the public. It will take time, but I think eventually they will become seen in the same way as solicitors or accountants. Our financial lives are all becoming increasingly complicated, with more and more personal responsibility to undertake very complex financial planning. Outside the few of us passionate enough to undertake a DIY approach, I do think more people will turn to IFAs (or unregulated coaches) for help in navigating their financial lives. 'the same way as solicitors or accountants' - you mean parasitic middlemen made necessary because our government (whose decisions are led by the solicitors) likes high employment figures and so promotes inefficiency, confusion and complexity in order to employ more people through bureaucracy and paper shuffling - cynical, perhaps, but just look at HMRC. I hate paying for something that may be fruitless like a meeting with an IFA. I would much rather spend double that time doing the research myself. I feel ripped off by the advice and actions I was advised to take when I last employed an IFA about 5yrs ago. Now I know better, they took what I now consider a huge ongoing fee for naff all effort setting up a couple of standard pensions with absolutely no risk on their part. I just feel resentment and the bitter knowledge that a large amount of what they charged was probably to cover the admin to meet FCA rules and to pay their insurance in case I sued them for their 'advice'. If there was a performance related fee option when it came to financial advice then I would look favourably at that. I am not sure how it would work practically but no win, no fee sounds fair to me (a win being suitable pre-agreed performance over a certain timescale compared to a benchmark, for example). Put your money where your mouth is IFA. Look at what Neil Woodford is doing with his new Woodford Patient Capital Trust IT. For the first time I have seen, there is a management fee that is partly related to performance. Is this new? Surely not. At the very least it shows respect for your clients/investors. "no win, no fee sounds fair to me" - I guess that works for investment advice, but a good financial advisor/coach should be providing more than that. Tax planning, estates planning, life insurance, complex mortgages etc. Would you be happy to pay a fixed fee to solve technical problems like this? "huge on going fee" - I'm sorry you were ripped off like this. This is exactly what the RDR has put a stop to though so that financial advisors are actually incentivised to act in the best interests of their clients (extraordinary that it took until 2013 to put this right!). Welcome aboard. Do keep the Comments coming - the more the merrier. I see from your site that you are late 20's, UK based and that you have just started blogging. You're in a better place than I was at a similar time in life as I was mid 30's by the time I figured out what the game was about and started this blog. I hope you keep it up as there is now quite a community of UK PF bloggers building with us all holding each other accountable. I suspect you are probably right. I'll get this blog back on track today. > when I actually just need to secure employment and not have the option of not doing it. You're in the home straight. Don't fall at the last hurdle. I know what it's like to do what you are doing. I was far less prepared when I realised I had three years to get my tail out of the world of work. Yes, I considered working for Tesco stacking shelves for ten years, then sucked in my gut and carried on, through some mental health issues because I valued freedom. In my view downshifting and working still eats up your time - yes I'm a little bit shorter of time than you are but there's not much in it. Keep your eyes on the prize and keep going. There's no rule that says once you have FI you have to stop working. I have spent time and effort, what some would call work in helping people. It's good for the soul if it is elective, and particularly when you take the need to make money from it out of the equation. The recovery from working took me a year and a bit - the change to a different track after doing something for 30 years will always rattle loudly across the switches but most of the problem was shaking out the pernicious effect of the stress. But after that the joy reaped in the freedom to act and to use my time for my own ends and to pursue what I damn well liked is so sweet, and I urge you to at least consider what you would be giving up. What are these secure lower paid jobs you speak of? How secure are they really? How secure is anything - after all, you talk of Malta, and yet should the Greeks finally be ejected from the Euro and the whirlwind come, Europe could be thrown into a horrendous social maelstrom. Fundamentally it is questionable whether a First World middle class lifestyle is sustainable in a globalised world. I'm not saying the UK will be immune - its fragile and unbalanced economy is sort of sitting pretty at the moment but it is hardly stable. It's your life, your risk assessment, your choice. My escape plan was over three years, and the halfway point was awful, I had only just transited from software development to a legacy skill that was actually useful to the company, I was drinking far too much. But even in the haze I was able to make the call that I would rather take another year and a half of Hell and if I didn't make it that was a chance I'd take, rather than quit then and work some crap job for another ten years. You don't seem to have the health problems, and while it's probably no great fun it will end. Really it will - well assuming your computations hold. I made my calls with a lot less science, a lot less clarity, and I was hopelessly over-pessimistic. You can do this. For sure, ask yourself whether this is what you want to do, you change over time, what was once important to you gets less important and other things get more. Always inquire within. A little bit of me would be saddened to see RIT - financial coach, but if it's your dream, go for it! "A little bit of me would be saddened to see RIT - financial coach, but if it's your dream, go for it!" Interesting viewpoint ermine and I think I'm starting to agree with you. I was contacted this week by some readers which has forced me to do some real inward looking. What I've found difficult to do is take money from people for what seem like simple problems. Instead I've given them a steer for free. I think I have seen so many shysters out there in the financial world and I'm very aware of how much damage costs can make to someone's personal finances that I can't step over the line for fear of at worst becoming one of them or at least hurting someone financially (no matter how small). It's fast looking like you have to put up with me blogging for some time yet. RIT - like Northern Ian I'm a long time reader but first time poster. Try the 'Stoics' to get some perspective of life before making any decisions yet. I will continue to read (and maybe post the odd comment) but I am a newbie to personal financial planning (and it's late in life for me) but all nuggets of information are welcome. Personally I work for myself 4 days a week - very happy because I love what I do. Whilst I have concerns about the financial future - it (the future) is something outside my control. I can only make financial decisions based in the present and with the knowledge gained from insights such as yours. I don't pray they will work, I just accept what will happen. Welcome aboard Ian F. Please do wade in at any time as I'm keen to get all view points no matter how different or at what level as we're all learning here. I hit FI over a decade ago. While working I'd been pretty independent rather than chained to an employer, so was in no way desperate to get away; instead, the FI just opened up a different life path that I decided to take instead. I think you're wise to be looking at FI not merely as an end unto itself (the binary: work/not-work), but as a key to opening up alternative life choices that might not exist if constrained by the overriding imperative to earn a minimum salary of £X that applies to most people. I've not actually done any paid work during my FI, but wouldn't rule it out - it's more that the vocation I chose to pursue sucked up much of my available time, and since I didn't need more income I didn't need to compromise with my time. One thing I have found time for and found quite rewarding has been to help out friends and family with stuff. Often they've helped me out with stuff in return, so we've all gained. Incidentally, I've found this has led to greater well-being than the approach I may have taken back in the cash-rich-time-poor days when some of those things would've been outsourced to someone else for a financial fee. Thanks for sharing your story nmouse. I haven't had much of a chance to practice on friends and family because most of them are on very different financial journeys. Namely the consume like the best of of them journey. I am with you on the selflessly helping others piece with some of it maybe coming back in due course though. That also gives me an enormous feeling of well being. In answer to your first question - Your not making a mistake. Put simply you have an end game that you are working towards that should counter balance the current effort you have had to put in. It does require the commitment from one self and the support of those around you now, for future gain (not necessarily financial). Only as an individual can someone work out they have that balance correct and that may change over time and situation. The one thing I would say is personally having got things slightly out of balance, things did get back on track. Though I am working towards FI I also enjoy 'the now' more. The journey has to be worth the destination and vice versa. Great point Alistair and something I won't forget. I'd also love a similar exercise in terms of reviewing ASU, Income Protection, Term Assurance, PMI, type-products to determine if I should switch any of my existing and/or move to a self-insurance type model for some or all of these. Again, ideally on a no-win no-fee type basis or some agreeable version there of, i.e. move to self insurance pay you 'n' monthly premiums. 2. As you are so close to FI anyway why not stay the course then set up a part time coaching business "for fun/interest" when you get there. It will keep you busy, be interesting as you love PF so much, you will feel good as you are helping people and will not have to charge ridiculous fees to keep afloat because you are not in it for the money.